At the 2019 Grammy Awards, hip-hop and women stole the show. After a few years of artists and musicians in the industry complaining and pointing out that the Recording Academy rewards men and “mainstream” music, it seems as though they may have taken the hint. Not only did hip-hop sweep in the biggest categories of the night—women, also, won big. For one, Cardi B became the first solo women to win rap album of the year. 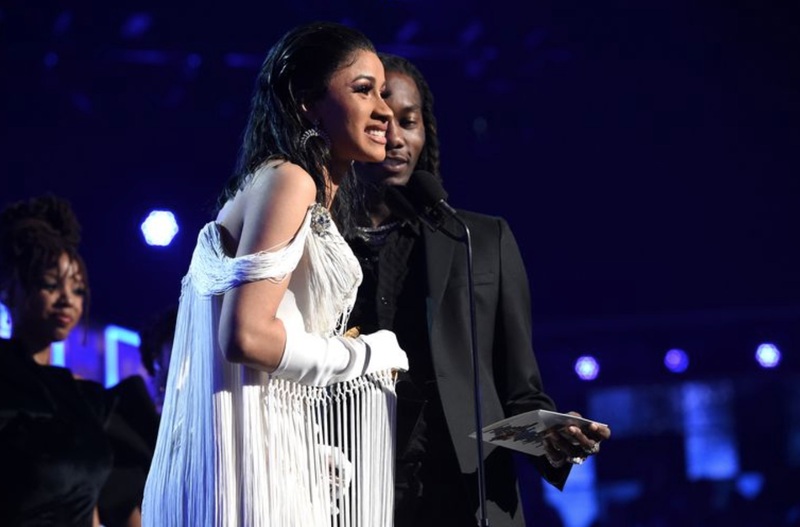 Cardi B not only showed up to The Grammy’s to showcase her immense success but, she also let fans know that she and Offset are back together and better than ever. While Cardi was lighting up the red carpet and the stage, Offset was bouncing into the background of every photo and every spotlight. And, he even came up on stage with her when accepting her award. Twitter, of course, got angry to see that Offset—who, let me remind you, was caught cheating on Cardi multiple times, was trying to bite off of her spotlight and success. This year was Cardi’s year, and she worked hard to get here. So, seeing her man—who just got back together with her—using her success for himself was a bit…annoying.